Rediff.com » Movies » Does Anushka Sharma make a hot cover girl? Tell us! Does Anushka Sharma make a hot cover girl? Tell us! 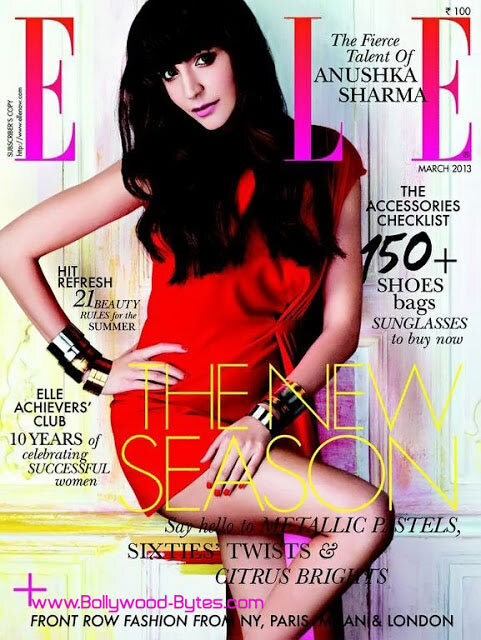 The March edition of Elle features a red hot Anushka Sharma, wearing an asymmetric Dior pleated dress. a new fringe hairstyle as well. Does Anushka make a hot cover girl? Tell us! The HOTTEST Actors with Facial Fuzz? VOTE! Hisar teens run off with Rs 15000 to meet SRK!